KSK is a family-owned company. 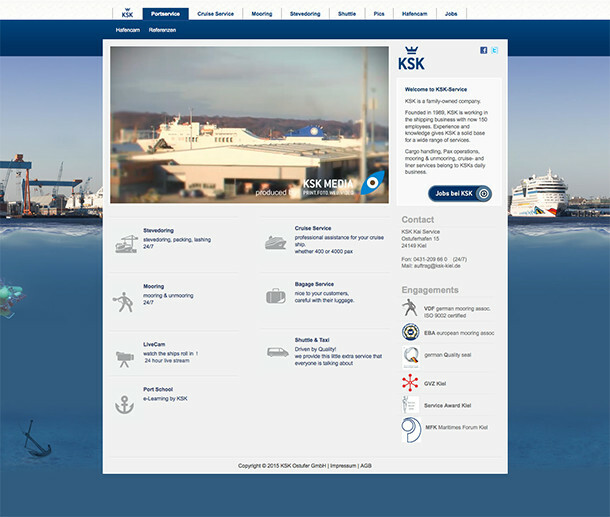 Founded in 1989, KSK is working in the shipping business with now 150 employees. Experience and knowledge gives KSK a solid base for a wide range of services. Cargo handling, Pax operations, mooring & unmooring, cruise- and liner services belong to KSKs daily business. Als Teil der KSK Familie sind wir für den gesamten Werbung- und Marketingbereich zuständig.